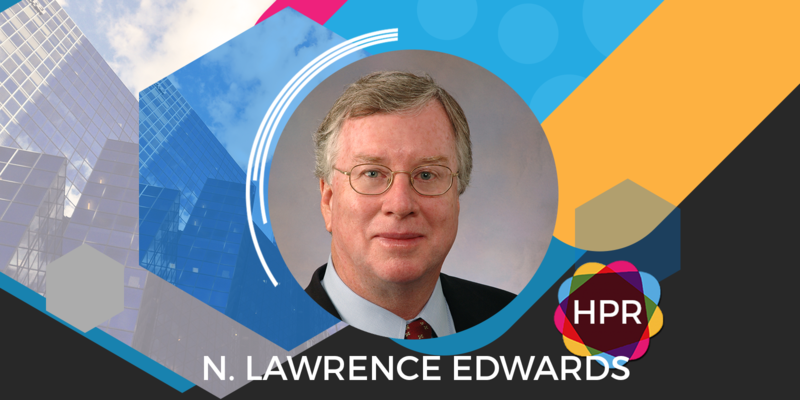 Guest Bio: Dr. N. Lawrence Edwards is a specialist in internal medicine and Rheumatology, and serves as professor of medicine in the Division of Clinical Immunology at the University of Florida in Gainesville, Florida. He is also program director of the Medicine Residency Training Program and vice chairman for the Department of Medicine at the University. In addition, he is the chairman and chief executive officer for the Gout & Uric Acid Education Society. Segment Overview: Dr. N. Lawrence Edwards, MD, rheumatologist, and chairman of the Gout and Uric Acid Education Society (GUAES) returns to talk about the Gout Specialists Network, a new initiative by the GUAES. It is an online physician and medical professional locator and educational resource, that physicians can register to join for two years, that helps patients find faster and better treatment. Neal Howard: Hello and welcome to Health Professional Radio. I’m your host, Neal Howard. In a recent independent survey, patients with gout reported that their disease was first misdiagnosed and that it took some time for them to receive proper care. Our guest in studio is returning to talk with us, Dr. N. Lawrence Edwards. He’s going to talk with us brand new initiative by the Gout and Uric Acid Education Society. Welcome. Dr. N. Lawrence Edwards: Thanks, Neal. It’s good to be back with you. N: Give us just a little bit of background about yourself. L: I’m a Rheumatologist practice at the University of Florida, gout research and gout care for the past 40 years. We established the Gout and Uric Acid Education Society about 11 years ago with the intention of trying to dispel some of the myths about, that were widely held both by patients and by physicians. And it was sort of by a group of nationally recognized gout experts and it’s been quite successful so far. L: Well, gout is a form of inflammatory arthritis. It’s caused by the accumulation of uric acid crystals around the joints and around soft tissues of the body. It’s a disease that is progressive and if untreated, it can lead to a disabling and destructive form of arthritis. It’s a metabolic disease. Although the wide perception is that it has something to do with dietary indiscretions and overeating and overdrinking, it is really a genetic disease. It’s inherited and we actually began to form uric acid crystals fairly early in our life especially for males and females get a little break and the estrogens that they have at least through most of their early adult life can cause the uric acid to be excreted more completely by the kidneys and so they tend not to get gout until after menopause. N: So how early are we talking in men? L: We believe that men attain their gouty acid level that’s genetically determined shortly after puberty, so in their teenage years and it takes the next several decades so slowly accumulating uric acid every day that their uric acid isn’t lowered. Usually, men in their 40s or 50s will have their very first sometimes gout, sometimes earlier and … occur and people as young as 44 years old but those are with very strange genetic diseases. Most men get it in the 40s and 50s and most women get it in their 60s and 70s. N: Are we more genetically predisposed for gout more than any of the other arthritic conditions? L: We know about the genetic underlying gout. Most of this information has come to us over the past 5 to 7 years. We also know quite a bit about the genetics of other … arthritis like rheumatoid arthritis, a bit less about psoriatic arthritis but we pretty much have the whole process right now mapped out as far as what gets affected by these … mutations and must has to do with the way the kidney can recognize and process higher uric acid levels in the blood and then selectively eliminate them. N: So what’s the most common form of treatment for gout? L: Well, the most common appropriate form of gout therapy is to lower your uric acid level with one of the standard uric acid lowering therapies. Allopurinol is by far the most common drug used to treat gout. It’s been available since the mid-1960s and we know a lot about the drug as a fairly safe medication and effective if used in appropriate doses. There are other forms of uric acid-lowering therapy to one fairly similar in its mechanism style appear and I’ll call it “Febuxostat”. It’s a fairly new drug and then there are several medications that enhance the kidneys’ ability to excrete more and more uric acid we call those “Uricosuric Drugs” and the newest drug on the gout horizon is a medication called Lesinurad and it’s just been released in the past couple of years. N: At the onset of our discussion, you mentioned some of the myths surrounding gout and those myths persist in the medical community as well as among patients. What is this Gout Specialist Network and how is it going to benefit those of us who suffer from gout? L: We’ve had our website for the Gout and Uric Acid Education Society ongoing for the past 11 years and part of this … site that was initially designed for patients, we’ve now branched out and had a separate part of it for health professionals as well. But one of the most common questions that we receive at the website is – Can you identify a … using my geographic location who knows about gout and would treat me better than my current care provider, who seems not to know about gout or hasn’t done anything over the past years of improving my condition to gout? That’s hard. There are many numbers of gout experts around the country but they’re fairly widely spaced. There’s a lot of pathologists who probably know more about gout and its treatment than most healthcare physicians that’s been shown in any number of studies. But what we wanted to do was identify physicians out there that were interested in gout that recognized that there are existing guidelines from the American College of Rheumatology that described the appropriate and optimal care of patients with gout and if they’re treating their patients like that and we’d like to put them on the website. So we’ve initiated the Gout Specialist Network as a mechanism for identifying across the country physicians that have some expertise and in the management of gout and recognize the American College of Rheumatology guidelines as the standard by which patients should be treated. N: Now, once a healthcare professional is interested in becoming part of this network, is the vetting process such that there’s no room for any further education within the network? Do you have to have such a high level of skill and expertise in order to join the network or is there any room for development? L: No. There certainly is room for development and guidelines are just that their recommendations, so any individual patient because of other comorbid conditions like high blood pressure, kidney disease, or heart disease, or strokes, we might vary the approach and there certainly is leeway at that. What we’re asking is and we’ve condensed the American College of Rheumatology guideline down to about 10 main bullet points and all we’re asking people that sign up for this is that they recognize these as the standard therapy that you would apply to most patients with gout. And if the answer in the affirmative, then we’ll have them listed. We’ll get feedback from patients because that’s the nature of our website. If they’re happy and what we put on our website is being paralleled by what the physician is doing, so the idea is just we get the physicians more interested in recognizing these treatment guidelines of getting patient access to physicians that we care about treating gout and don’t ignore it which is, unfortunately, a fairly common approach at this time. N: Now, you mentioned the website, where can our listeners and others go to get more information about gout, the Gout and Uric Acid Education Society and the Gout Specialist Network? L: Sure. If you go to our website www.gouteducation.org, that will put you on to the main website. There’s a link to the Gout Specialist Network but you also have the choice then of either entering the patient education component of the website or the healthcare provider component of the website and we keep both of these updated with new publications, and new findings and new thoughts about the treatment and diagnosis of gout. N: Dr. Edwards, thank you so much for returning. It’s always a pleasure. L: Thank You, Neal. It was a pleasure being with you again. N: You’ve been listening to Health Professional Radio. I’m your host, Neal Howard. Transcripts and audio of the program are available at healthprofessionalradio.com.au and also at hprm.fm. Be sure and subscribe to our podcast on iTunes, listen in and download at SoundCloud and visit our affiliates page at hpr.fm and healthprofessionalradio.com.au.